Heart disease is usually associated with human beings and many pet owners don’t realise their pets are at risk too. In fact, its one of the most common illnesses we see in companion animals. 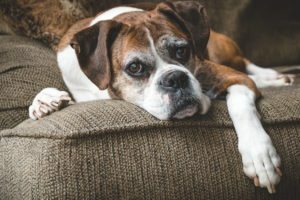 All breeds can be affected – though some are genetically pre-disposed – and the incidence increases dramatically with age. February is Heart Month. Now is the perfect time to have your pet checked by your vet. Large breed dogs (especially Dobermans and Boxers) are predisposed to what is called dilated cardiomyopathy. This means the heart wall gets very weak and doesn’t pump the blood very well. This is easily seen in very young dogs and can cause sudden death if left undiagnosed and treated. Small breed dogs (Maltese and Yorkshire Terriers) are more likely to get diseased heart valves when they are older. This is often detected as a heart murmur and can be successfully treated and managed if treated early. Cats tend to get hypertrophic cardiomyopathy, which means the heart wall thickens and the pumping action of the heart is inefficient. Coughing. If after three days your dog is still coughing, or is experiencing other symptoms, get to the vet immediately. Difficulty Breathing. Shortness of breath, laboured breathing, or rapid breathing. Changes in Behaviour. Tiring more easily, being less playful, reluctance to exercise, reluctance to accept affection, being withdrawn, or an appearance of depression. Poor Appetite. Loss of appetite is almost always a symptom of something. If combined with any of the other symptoms on this list, it could be a strong indicator of heart disease. Weight Loss or Gain. Weight loss is definitely a symptom of heart disease, though weight gain can be as well. More likely than weight gain is a bloated or distended abdomen, giving your dog a potbellied appearance. Fainting/Collapsing. If your dog faints or collapses at any time, seek veterinary help. It may be a sign of many serious illnesses. Weakness. A general sign of ageing, but seek veterinary attention if it is combined with other symptoms. Swelling (oedema). Your dog may show swelling in the abdomen and extremities. Isolation. Your dog suddenly starts to isolate itself or is keeping its distance from other pets and/or you. Vomiting. While coughing is a major symptom of heart disease in dogs, it does not often occur in cats. Cats, however, do vomit as a result of heart disease, where dogs do not. Difficulty Breathing. If your cat’s breathing becomes laboured, or if it experiences shortness of breath or begins to breathe more rapidly than usual. Blood clots. These are often the first signs that are noticed; often a blood clot lodges at the end of the aorta and cuts off proper blood supply to the hind legs. Symptoms are pain and the inability to walk normally on the hind legs. The femoral pulse may be weak or absent in one or both hind legs. Depressed/Withdrawn. If your cat begins to exhibit changes in behaviour like acting depressed, withdrawn, reluctance to accept affection, or isolating itself. Poor Appetite. A cat will not suddenly lose its appetite for no good reason. There will almost always be a larger cause behind a poor appetite. Be aware of other signs as well and seek veterinary assistance. Weight Loss or Gain. Weight loss is definitely a symptom, though weight gain can be too. Swollen Abdomen. More likely than weight gain is a bloated or distended abdomen. Fainting/Collapsing. If you find your cat has or collapsed, get to the vet immediately. If your cat is experiencing any of these other signs as well, it may all be due to heart disease. Weakness. If your cat appears less playful or tires more easily due to weakness rather than laziness, you may have a problem. Restlessness. This is harder to recognise in cats than in dogs, as it seems many healthy cats are restless, especially at night. If your cat suddenly becomes restless at night where it wasn’t before, be on the look-out for other signs of heart disease. 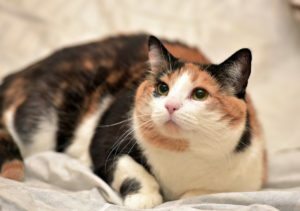 Why does my pet need an annual check up? Heart disease! It’s one of the reasons we recommend annual check ups for your pet as a vet will assess his or her heart, listening for changes to the rate and rhythm. Should a problem be detected we often recommend further testing, e.g. x-ray, ECG or an ultrasound of the heart (also called an echocardiogram). The earlier the problem is detected the more effective the treatment and management of the disease so please don’t neglect your pet’s annual check up. Heart disease doesn’t have to be a death sentence. But early detection is key. Book your pet’s annual check up today.